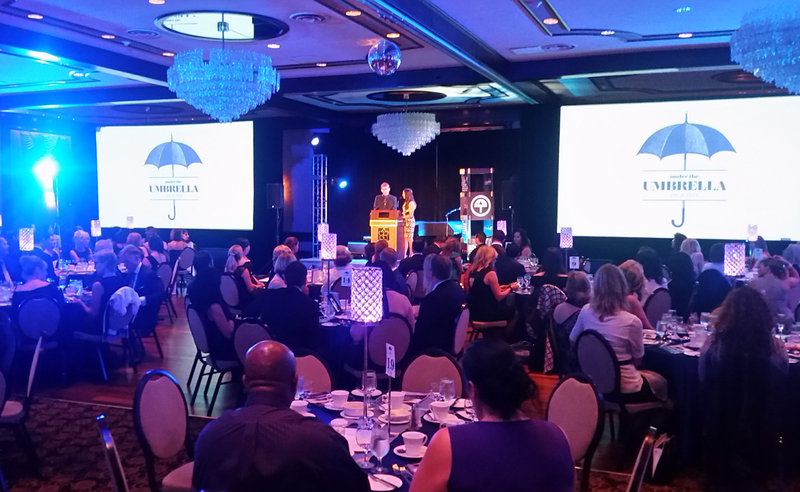 Under the Umbrella Gala – Thank You! On behalf of the Board of Directors, we would like to express our sincere gratitude and thanks for the community’s support of the Under the Umbrella Gala. WIN House would like to thank all those who came out for our Inaugural Gala! Without you, this event could never have been the success that it was. Our gala could not have happened without the generous participation of friends and businesses who so kindly donated items for our silent auction; and for every donor, gala attendee and raffle ticket purchaser whose efforts helped to make the evening memorable! Your participation and gifts have allowed us to purchase a new transport van, operate the Helpline for a full year, provide over 200 babies with diapers during their 21 days in shelter, and over 30 household packages. A few of the photo highlights from the Gala can be found here. We would also like to thank our wonderful partners! We would also like to recognize our emcees Margeaux Morin and Mark Scholz who donated their time and services. We would also like to thank the staff at the Chateau Lacombe for the beautiful venue. A special thank you to Lewis Lavoie for donating the proceeds from his live painting, to E. & J. Gallo for the donation of champagne for the reception and to Trevor Boller for being the Gala’s photographer for the evening. A huge thank you to the World Famous Dueling Piano Show for such a fantastic performance! You kept the party going all night long and gave our guests a fun filled evening they’ll remember for years to come! No event like this happens without a team of people behind the scenes. Thanks to everyone at KMG Events who worked closely with us to make the event possible. To Kate Gallagher and Kristine Villanueva for their leadership, vision and expertise in producing this event; our staff members Kelly Hoskins, Deanna Arthur and Mary Anne Nguyen. Thanks especially to the Honorable Amarjeet Sohi, Minister of Infrastructure and Communities for opening the dinner, and to Mayor Don Iveson and Sarah Chan for attending our event and supporting WIN House. And lastly, we would like to thank our volunteers who helped assist with our gala. Thanks for your time and effort; you made this event fun and successful and for that, we greatly appreciate you! YOU make a difference in the lives of the women and children we serve. Thank you.